I belong to a book club. Have I told you that before? We get together once a month to talk about books and life. To laugh and drink coffee and smile at each other. The women in my book club are all dear friends of mine. Women whose strength and love and friendship has kept me going when I could not have persisted on my own. Yes, it is that cheesy! Our book club, for me, is a little like that cheesy old movie about the ladies who do patchwork together. These are the women who hold me together; whose lives I am honoured to share. This month, M– chose the book we would read (we take it, roughly, in turns). 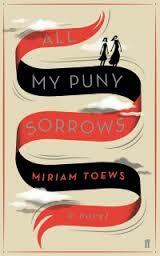 She chose Miriam Toews All My Puny Sorrows because she’d read and liked some of her earlier work, and because the author is, like M–, Canadian. This month’s book club meeting convened on the banks of the Brisbane River, at the GOMA cafe. Boo and I drove down early so that we could gather some supplies from a little grocer we like, and wander through the art gallery for a little while, looking at the Tracey Moffatt exhibition. By one o’clock we’d gathered by the river. M– had brought with her copies of all of Miriam Toews other books, including A Complicated Kindness, The Flying Troutmans, and A Boy of Good Breeding. After the usual raucous recounting of adventures between meetings, we launched into our discussion of this troubling, engaging, witty, heartbreaking book. The novel is set largely in Winnipeg, and tells the story of the relationship between two sisters who grew up in a Mennonite community. One a successful concert pianist, the other a writer of children’s books who is trying to write a ‘serious’ adult novel. The novel begins when Elf–the concert pianist–attempts suicide, not for the first time, and is hospitalised. That e’en from friendship’s eye will shrink ashamed. Elf was well aware of her responsibilities, of being demure and tender and mild even though she’d been unconventionally impregnated by an invisible force and was now expected to raise the Messiah and all on a carpenter’s salary. I was six. I was supposed to be a shepherd, relegated to some back row where all us younger kids would stand with dishtowels on our heads or angel wings gaffe red to our backs. I told my mother I refused to be a shepherd. I would be Mary’s sister, the baby’s aunt. My mother told me that the baby Jesus didn’t have an aunt in the nativity scene, that it didn’t make sense. But I am her sister, I said. I know, said my mother, but only in real life. But the two teenage boys are determined to get home. You guys can’t do this, [says Nic] to the front, the bow, of the boat. His voice is low and stern, mano e mano. Nothing happens. The boys breathe in silence and the canoe gently bobs up and down in silence and the canoe gently bobs up and down a bit on top of them … Okay, so how about this, says Nic. I’ll give you money for two bus tickets to Roseau River and you leave the canoe with me. I’ll bungee it to my car and keep it for you at my place and you can pick it up whenever it suits you, when you’re back in the city, or whatever. This, then, is exactly what happens. Nic slips the boys enough for bus fare, and bungees their canoe to the roof of the car. According to Yoli, Nic has saved their lives. This is a lovely moment: an opportunity for Nic and Yoli to believe that they have saved a life each. Two lives, to hold in balance against the ever-present threat of Elf’s death. A reminder that, sometimes, in unexpected and magical ways, life offers us opportunities to be generous and kind, and successful in our attempts to love and support others. The depiction of a woman determined to end her own life is empathetic and precise. Here is a woman who is still capable of wit, insight, pride and determination. We had an interesting conversation at book club about her state of mind, and about definitions of mental health. Elf is not suffering from the disordered or irrational thinking many people associate with ‘being crazy’. She doesn’t hear voices, or speak to the walls. She’s smart, and sometimes funny. Just like you. And me. Except that she wants to die. Preferably today. If not, tomorrow. Her suicidal ideations mean that she is, according to most mental health guidelines, mentally ill. A danger to herself, and possibly to others. In Australia, someone presenting to a doctor or hospital who admits that they want to kill themselves can be ‘sectioned’. That is, held in a mental health ward without their consent. I’ve been in a mental health ward as an involuntary patient. And I’ve seen the look people give you if you admit that this has been part of your life. That look that re-assesses you. That look that tells you very clearly that the person you’re talking to assumes that this means you are (or have been) completely out of your tree at some point. The look that doesn’t understand depression and suicidal ideation, and their relationship to being a functional human being, at all. M2 said that she felt that Elf wasn’t mentally ill at all, and that it’s awful to think that someone like her would be categorised/treated as such. She was a functional and successful artist. A witty, loving, intelligent, assertive, artistic woman. Whether Elf is or isn’t mentally ill because she’s suicidal, and how much her rights and responsibilities should be limited as a result become important questions in this book, perhaps especially when she asks her sister, Yoli, to help her travel to Switzerland in order to commit medically-assisted suicide. Elf is clearly unwell, but she is not suffering from a terminal illness like cancer. She is not experiencing organ failure, or in extreme physical pain. She does not require life support. It is not, in other words, easy to understand why she would want to end her own life. Most of the time, when we talk about medically-assisted suicide, we talk in terms of people who are living with terminal illnesses or living in extreme physical pain and discomfort. We don’t picture successful, physically healthy and able concert pianists. Yoli, Elf’s sister, struggles with the question of whether to support her sister in going to Switzerland. Should she? And if she does, what would be the consequences? If you don’t want to know what happens, please don’t read any further until you’ve finished the book! One of the women in our book club took a break from the book around here. Not by choice — she had to travel for work and left the book at home. During the meeting, she talked about driving around out in Western Queensland with the questions raised by the book swirling around in her head. She made notes about what the author could do with the story from here and, like the rest of us, decided that the easiest way out for the author was to have Elf take the decision out of her sister’s hands. And this is what the author does. As a writer myself, once I’d gained the critical distance to do so and stopped crying over Elf’s death, I saw this as a bit of a cop-out. Not only does Yoli not have to make a final decision about whether to assist her sister in committing suicide, she is relieved of any of the really murky emotional and psychological consequences of supporting Elf in ending her life. Throughout the book, even though Yoli might be thinking about supporting her sister in ending her life, in her actions and speech, she fights against Elf’s suicidal tendencies. It is Yoli who, when she has to leave Winnipeg to look after her children, struggles almost heroically to get the hospital staff to agree not to let Elf leave. Not (in other words) to let her suicide. I wanted Elf to stay. Everyone in the whole world was fighting with somebody to stay. When Richard Bach wrote “If you love someone, set them free” he can’t have been directing his advice at human beings. She wanted to die and I wanted her to live and we were enemies who loved each other. And after Elf’s death, Yoli makes prank calls to the hospital asking for her sister. Insisting that she must be there, since the hospital staff were told not to let her go. Told that Elf was wily: would pretend she wanted to live so that she could get out, and end her life. 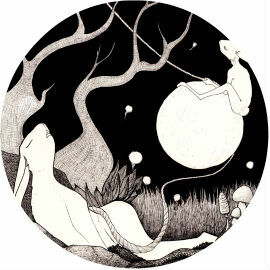 In terms of character empathy and thematic connection, then, Yoli interestingly is the character through whom the reader gets to empathetically consider the morally murky prospect of helping her sister commit suicide, but is also the loving sister who fights for her sister’s life right up to and beyond its end. She is narratively speaking in no way responsible for her sister’s ‘success’ in ending her life. She didn’t agree to her being discharged; she wasn’t with her sister, and wasn’t meant to be (unlike, say, her sister’s lover). When I listened to her play I felt I should not be in the same room with her. There were hundreds of people but nobody left. It was a private pain. By private I mean to say unknowable. Only the music knew and it held secrets so that her playing was a puzzle, a whisper, and people afterward stood in the bar and drank and said nothing because they were complicit. There were no words. This is not always, or perhaps even usually true. And I wonder why we seem to need it to be the case in movies and books. Why artists must be tortured. Why stories about people with depression or suicide are never about ordinary people with ordinary jobs and ordinary families. Which is what the vast majority of depressed people are. Ordinary people. I was young when my father took his own life. Too young, some said, to understand what had happened. But who really understands suicide? I’m sure I didn’t understand what had occurred in the way that his other family did: but I’m not sure that their understanding was any purer or more true than mine. I was too young when I first tried to take my own life. Still young — too young to understand — when other members of my family tried to end their lives. Too young when a few old friends took their own lives (at different times): a mother, an activist, and a poet. I’m still to young to understand why someone would want to end their own life. Even when that someone is me. I still don’t understand why I ended up in that bathtub with a blade against my throat, or with a cup of pills in my hand and a bottle of booze between my knees. Although I think of myself as a writer, I have brought no words back from that wordless place. I’m not sure there are any. 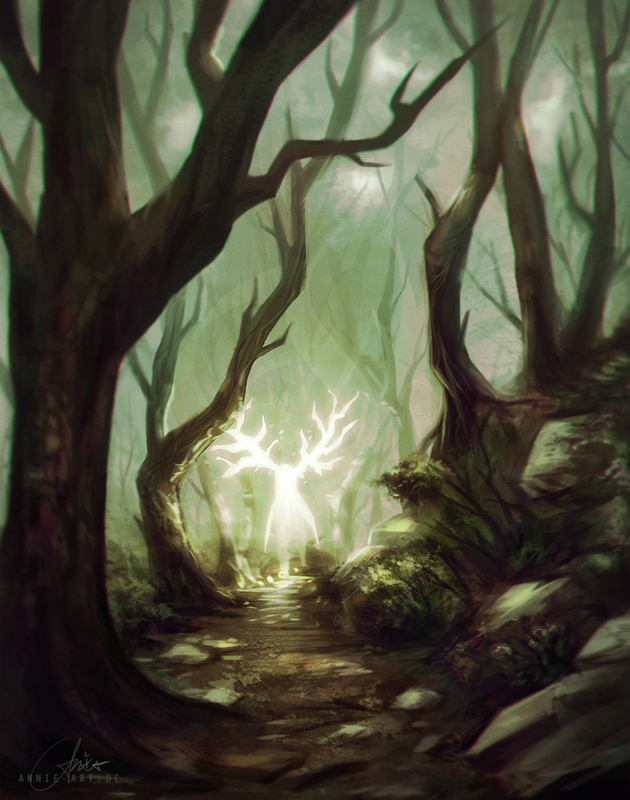 Though I have walked them both, I do not know how to recognise the path into the darkness at the heart of the forest. Or the path that will lead you home. Miriam Toews’ book probably won’t save your life, or the life of anyone you know. But it may provide you with the courage to sit in undefended confusion with someone struggling to find reasons to stay alive. To be in that space where there are no easy answers, and to hold on to someone who needs to be held. To sit with them. To walk with them. To wait with them, and hope that the path back to that other world — the one in which a stranger loans you a bus fare home and offers to carry the burden of your canoe — reveals itself to you.